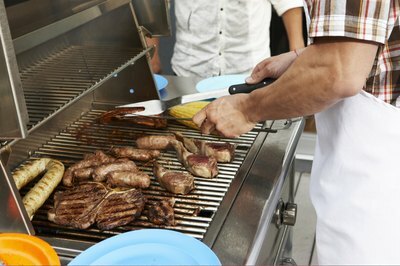 A barbecue can be an easy way to cater for all sorts of occasions, from birthday parties to wedding receptions, or just a good old get-together. Catering for large numbers can seem like a very daunting task; you don't want to pay for excess food that will be wasted, but it would be equally awful if you didn't have enough. The key to successful catering for large numbers is careful planning. If you plan your event meticulously, catering for 100 people will be easier than you may think. 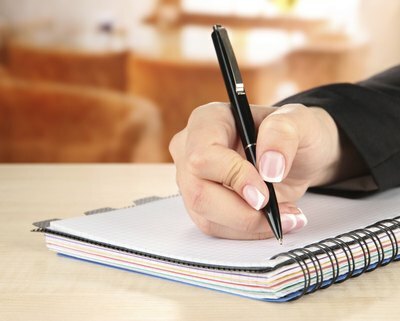 Write a list of what food you will be serving at the barbecue. 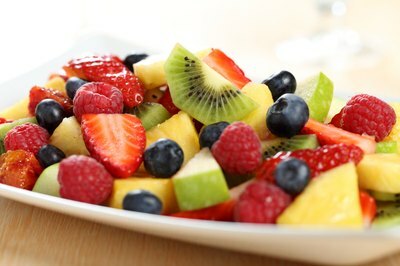 For example, include three meat options, such as hot dogs, burgers and chicken wings; three side options, such as coleslaw, potato salad and tossed green salad; one vegetarian option, such as pasta salad; two dessert options, such as fruit salad and key lime pie; and nibbles, such as potato chips and pretzels. Write a second list, breaking down the meals from your first list into ingredients. Also remember to add any sauces or relishes. For example, break hot dogs down into sausages, hot dog buns and mustard; and burgers into burgers, buns and ketchup and relish. Write a third list, this time noting the quantities of each ingredient. Allow for people coming back for seconds. This is essentially your shopping list. 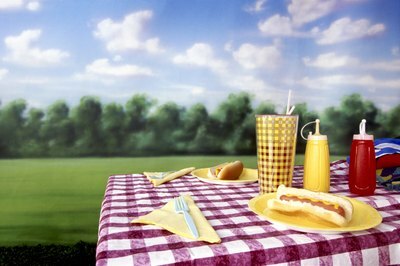 Allow two hot dogs per person; remember this also includes two hot dog buns per person. Allow one burger per person, plus 1/3; this is four burgers for every three people. Allow three chicken wings per person. For pasta salad and potato salad, allow 6 to 8 lbs. dry pasta and 35 lbs. of potatoes, with 1 1/2 to 3 qt. dressing. For coleslaw, allow 20 lbs. mixed shredded vegetables and 2 qt. dressing. Allow 2 oz. tossed salad mix per person. Plan your fruit salad allowing 4 to 6 melons, 3 lbs. grapes, 2 pineapples and 4 to 6 lbs. strawberries. Allow 3 to 4 qt. salad dressing, such as cream or yogurt. Whether you are making or buying your pie or dessert, the packaging or the recipe will tell you how many servings each contains. Allow for each person to have one serving. Items such as chips, pretzels, pickles, onions, sauce, jalapeños and bread can be opened as needed, rather than pouring out huge amounts and being wasted. 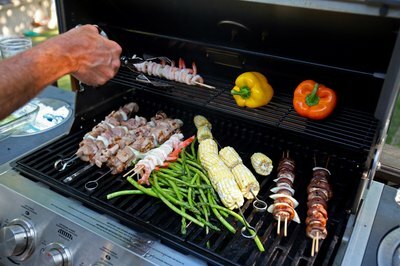 Ellen's Kitchen advises allowing an extra 10 percent to all quantities if the barbecue is self-service, or if there are large quantities of alcohol being consumed.